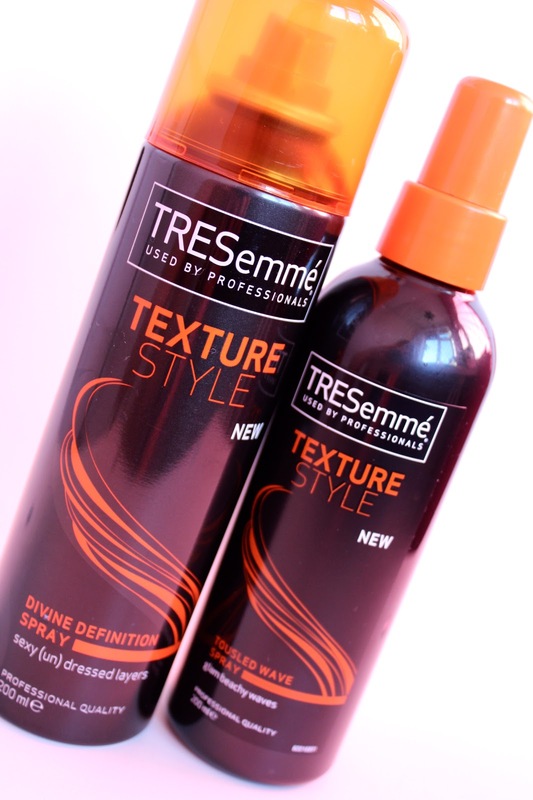 On a recent trip to boots I noticed these new goodies from TRESemmé. I do love a couple of their shampoos, Split Remedy being one of my favourites, but haven't given the brand much notice recently. When I came across these two I was a little sceptical about buying them because they were displayed with the dry shampoo which I'm not a fan of unfortunately, but I'm glad I had a 'what the hell' moment and chucked them into my basket because after giving them a try, I love them! Definitely opened my eyes to TRESemmé once again. The Divine Definition Spray takes place of dry shampoo most days, adding volume and a bit of a boost to my hair. When I'm having a lazy day, running errands or not meeting anyone, I tend to let my hair dry naturally to give it a bit of a break from heat styling. This product works wonders to perk up boring, limp, air-dried hair, creating an 'done, but not done' look. You spray the product like you would hairspray and work it in after a few seconds, scrunching up waves and twisting in curls to create a messy, dishevelled look. The Tousled Wave Spray has to be my favourite TRESemmé product to date. Ever since the trend of beachy waves began, I have been obsessively dedicated to try and get the perfect tousled waves. Be it with curling tongs, curlers, sprays...I've tried the lot. Bumble and Bumble's Surf Spray has got to be one of the best, but it also comes with a bit of a hefty price tag. In my eyes, this product is a much more affordable version of the Surf Spray, creating the same undone, bouncy waves that are still soft to the touch. Just as easy to apply too, you simply spritz it onto towel-dried hair and scrunch your hair in your hands before leaving it to air dry, or gently blow-dry the hair if you're in a rush for the finished look. I'm a big lover of the messy, beachy, carefree look and these are two star products for achieving it. I can see these featuring in empties posts to come!